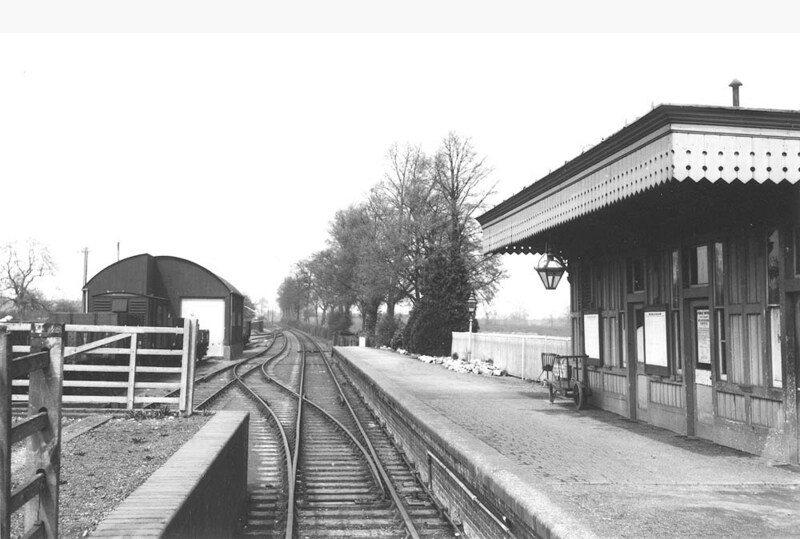 Another view looking down the line towards Moreton-in-Marsh with the station on the right and the goods shed on the left. The station had only a few oil lamps to provide lighting whilst on the platform there appears to be just a porters trolley with a brazier immediately behind. The cleanliness of the station is a puzzle as the photograph is recorded as being taken on 29th April 1934 yet the station closed to passengers on 8th July 1929. However it is also recorded that 153 tickets were sold in 1930 and 9 in 1931 which indicates that some passengers still used the line possibly on excursion workings.